Electromagnetic (EM) radiation is a type of energy that comes from many different things such as radio waves, microwaves, X-rays and gamma rays. Sunlight is also a form of EM energy, but visible light is only a small portion of the spectrum. EM radiation is created when an atomic particle, such as an electron, is accelerated by an electric field, causing it to move. The movement produces oscillating electric and magnetic fields, which travel at right angles to each other in a bundle of light energy called a photon. Photons travel in harmonic waves at the fastest speed possible in the universe: 186,282 miles per second (299,792,458 meters per second) in a vacuum, also known as the speed of light. Daily we’re bombard with WiFi signals from almost every device you can imagine, I’m not going to list them I’ll just sound like a conspiracy theory freak. Although it is kind of spooky how much “noise” is all around us. I’ll share one, RF (radio frequency) readers installed at grocery stores connected to your health record scan your cart and prohibit you at the registar from buying certain items based on health and diet restrictions. 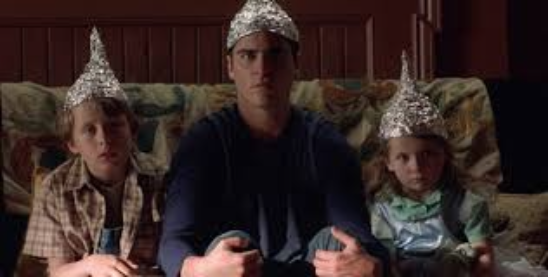 Maybe, more likely the “white noise” sounds people feel in their ears and hear in their head is truly a sensitve individual picking up on the massive amount of EM radiation around them. It’s insane to think that you can’t escape them even at night with weak radiation signals running 24/7 what’s one to do? Worrying the EM radiation is wasting them away as they sleep let alone while they relax in park outside or do basically anything while awake or asleep is just daunting. Recently Icebox MFG took on a project to knit beanies with silver thread, yes pure silver into beanies with traditional wool. The research and development process went on for a few days to learn how this could be done as a sample beanie and certainly if it was feasible on a larger production scale. 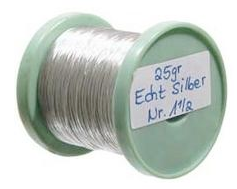 At less than ½ millimeter thick Silver thread has a mind of it’s own and one can barely see it. Icebox started with pyling 3 strands together, that was difficult but it worked. The next goal create 5 and 7 strand lines, this would give the client options later if the EM radiation blocking ability needed to be adjusted. With the success of making jigs to control the silver thread and wind it on to useable and storable cones, Icebox was ready to attempt making a hat. 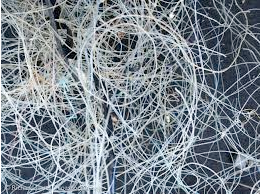 The trouble here is silver thread is like a strong mini-cable and it has no give, unlike wool that has some give to it and a certain lofty-ness. 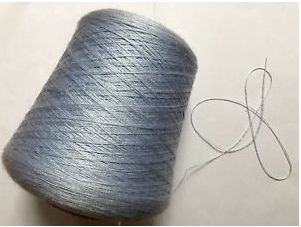 The silver thread needed to be knit with specific tension so as to not be too loose sticking out of the knit structure and not too tight inhibiting people from putting it on their heads. After a number of sample attempts the prototypes were sent out for testing. Testing? Yes testing in an EM radiation chamber! Geek out. With baseline set a transceiver was put into the knit beanie and wala. Meaning nothing came through the knit beanie to the transceiver. It worked and interesting enough if the EM radiation originated from the interior of the silver thread lined beanie the signals intensified. The takeaway here is the silver lining beanie works for blocking EM radiation bombardment but don’t put your cell phone under your hat and talk at the same time this practice could truly fry your brain.